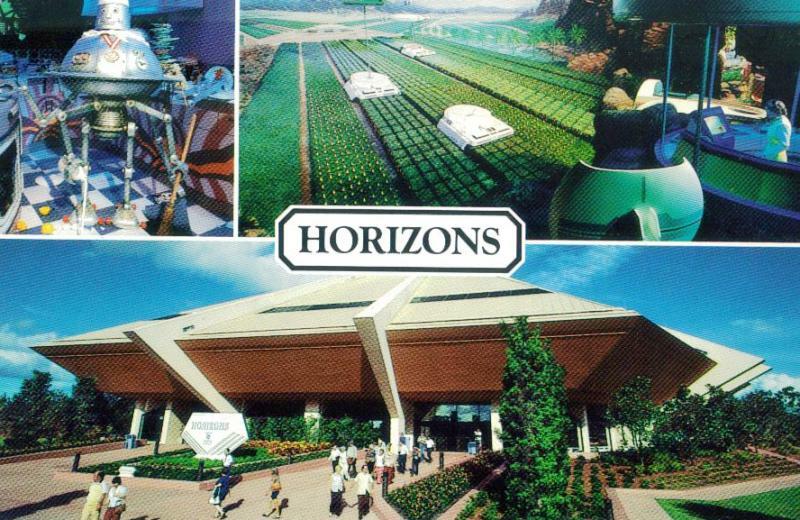 In 1983 when Horizons opened in EPCOT Center there weren’t a horde of reporters and bloggers crashing down the gates and reporting back to the waiting ears of the world. Instead guest publications were the way to get a lot of information about the new attraction, and you had to be in Walt Disney World to get the best information. One of the best descriptions and enticing stories I’ve seen on the now extinct attraction came from the Walt Disney World News issue from September 30 through October 13, 1983. 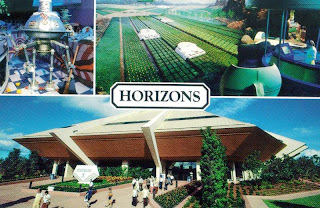 “EPCOT CENTER – Twenty-first century living – on land, at sea and out in space – is explored in Horizons, the newest, Epcot Center adventure which opens on October 1, 1983. The multi-million dollar spectacular, presented by General Electric, is located in Future World between Universe of Energy and World of Motion. “Upon entering the three-acre pavilion, guests find themselves in FuturePort, a transportation departure center to tomorrow. Here, they board four-passenger suspended vehicles for a 15-minute journey to the future. “After a nod to visionaries of yesteryear, the show moves on to a look at some present-day phenomena as they’re rarely seen. In the Omnisphere Theatre, the largest film format in the world fills twin hemispherical screens (80 feet in diameter) with micro- and macro-images of growing crystals, DNA chains, computer chips and an awesome space shuttle launch. “Today’s world leads to Tomorrow’s Windows, through which we see a series of three-dimensional sets depicting communities of the future. In Nova Cite, the first destination, advanced communication and transportation systems, such as holographic (screen-image) telephones and trains that run by magnetic levitation, keep members of a scattered family in touch with one another. “In Mesa Verde, a once-arid desert has been transformed into a blooming agricultural complex. Voice-controlled robotic harvesters and genetically engineered fruits and vegetables populate this scene. Overhead, “helium lifters” drop their hooks to collect the harvest, which is then flown off to market. “At Sea Castle, an island-like floating city in the Pacific, schoolchildren take underwater field trips to nearby mining and kelp farming operations manned by robots. “At the Brava Centauri space colony, crystals are grown for use by computer back on Earth and colony inhabitants keep in shape in a health and recreation center that features games like zero-gravity basketball. “Life is just as it is on Earth, but with a couple of twists. When a boy newly arrived at the space colony doesn’t put on his magnetic shoes (for the zero-gravity environment), he floats away. And when the family gets together to celebrate a birthday, those who can’t attend in person appear via holographic telephone. 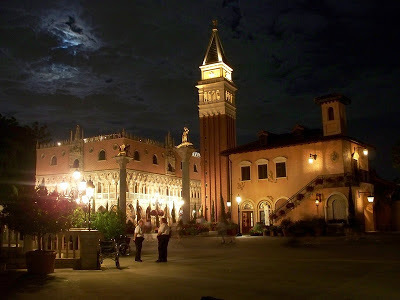 Often times we someone is speaking about Walt Disney World it is often about the marquee attractions and how amazing they are or the emotional and bombastic nighttime spectaculars that burn themselves into our memories. Yet, there are plenty of smaller experiences that can make or break a day in the parks at Walt Disney World. So, today, we’re looking at just five of them. The five things, within the four parks, that can make your trip better and that most guests are not taking advantage of. Shows – We all talk about the big shows like Finding Nemo, Beauty and the Beast, or the selections of 3D films. 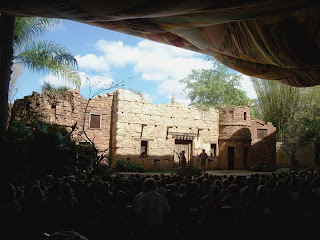 So often, however, we forget to really sing the praises of shows like Flights of Wonder, Enchanted Tiki Room, the travelogues of World Showcase, or Hall of Presidents. Each has a place in the history and story of Walt Disney World, and they are a great way to entertain and while away a few hours. Oh, and did I mention that many of them are inside with air conditioning, and that even the ones outside have shade and fans? That is not a bad way to rejuvenate in the hot Florida afternoons. 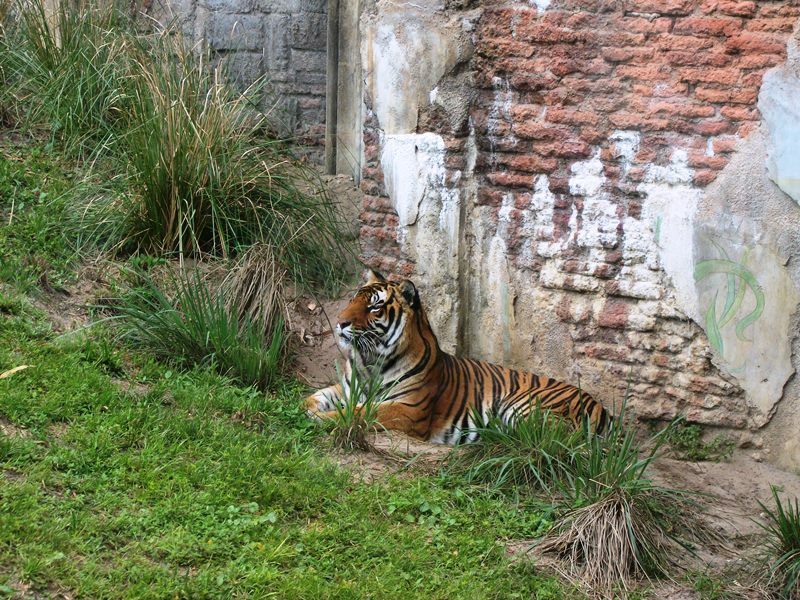 The Trails of Disney’s Animal Kingdom – The trails are well known for their tiger and gorilla habitats, but there is so much more to the trails. Aviaries with fowl friends the likes of which I’m almost certain you’ve never seen, close encounters with hippopotamuses, bats, and smaller creatures, and lush plant life, some of which dates back to the days of the dinosaurs, can all be witnessed along the trails. Plus, for those guests that take the time to wander the trails around the Tree of Life, they are able to get up close and personal with the carved sculptures found on the tree. Post-Show Galleries – We’ve often spoke about the galleries in World Showcase and the cinematic archive displays of Disney’s Hollywood Studios, but that’s not what I’m talking about here. 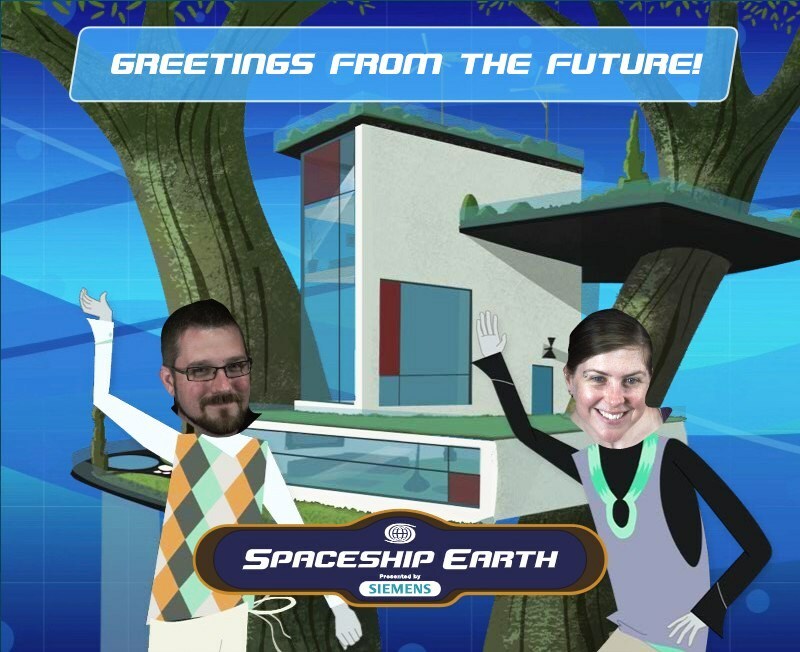 I’m looking more towards Test Track, Spaceship Earth, Mission: SPACE, The Seas, and even the Imagination Pavilion. Each has interactive games to further the spread of knowledge in a given area. Sharks, mission control, music, art, power grids, medical advancements, and fuel efficiency are just a few of the stations in the post-show areas that guests tend to breeze right through. 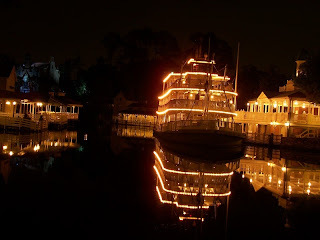 Liberty Square Riverboat – Once upon a time there were a myriad of craft that could be used to ply the waterway known as the Rivers of America. Picture a busy vehicle day on Main Street, U.S.A., but on water. 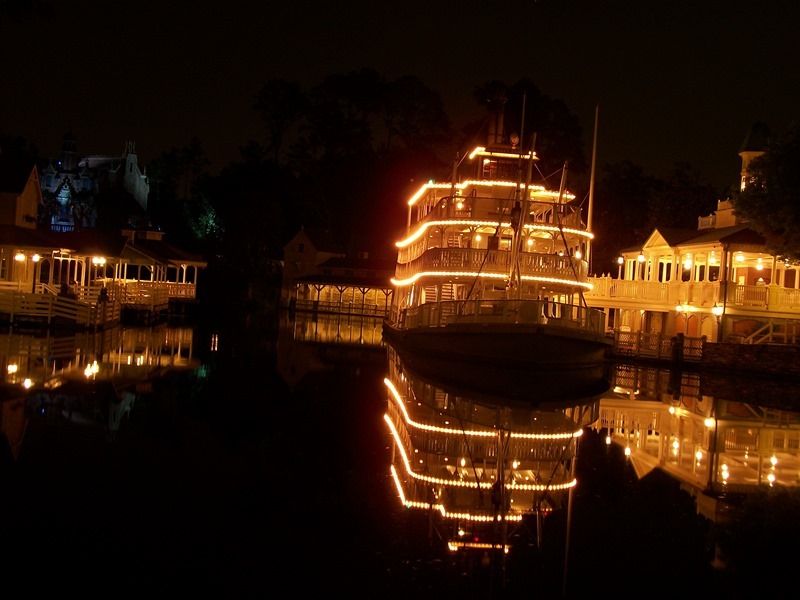 Gone are the canoes and keelboats, and though the river rafts still run from shore to shore, the only real way to motor on down the river and see all of its scenes is the Liberty Belle. Guest can feel the breeze generated from the movement of the boat while they sit back and enjoy the ride. It may be a relic from bygone days, but that doesn’t mean there isn’t a place for it in today’s touring. Unique Culinary Opportunities – It’s easy to find hamburgers, French fries, and chicken nuggets in all of the parks, but there is so much more to be sampled. In the past it wouldn’t have been so easy to find something new to try, but Walt Disney World has made a concerted effort to improve its mealtime offerings, even at quick service locations. Slow cooked barbeque, fresh vegetables, stir fry, specialties from around the country and around the globe can all be found if guests are only willing to step outside the bun and nugget mindset. There are so many other little moments that can be captured to create incredibly successful trips and memories to last a lifetime. These are but a few of the ways to give your trip those memories, and they don’t even touch upon the gardens, One Man’s Dream, tours like Behind the Seeds, and so many others. It doesn’t take doing everything to make a great trip, just making sure to keep the trips balanced and to try new things, that’s the way to really find some magic. Bellhops or Maids and Butlers, who scares you more? The Polynesian Luau is simply picture, and postcard, perfect. Hungry? Pecos Bill's Steak and Pork Platter has enough for any size hunger! The World News Roundtable examined the construction at Pleasure Island, new characters coming to Once Upon A Time, some wanted Muppets, and centralizing dietary information at Disney's Animal Kingdom. 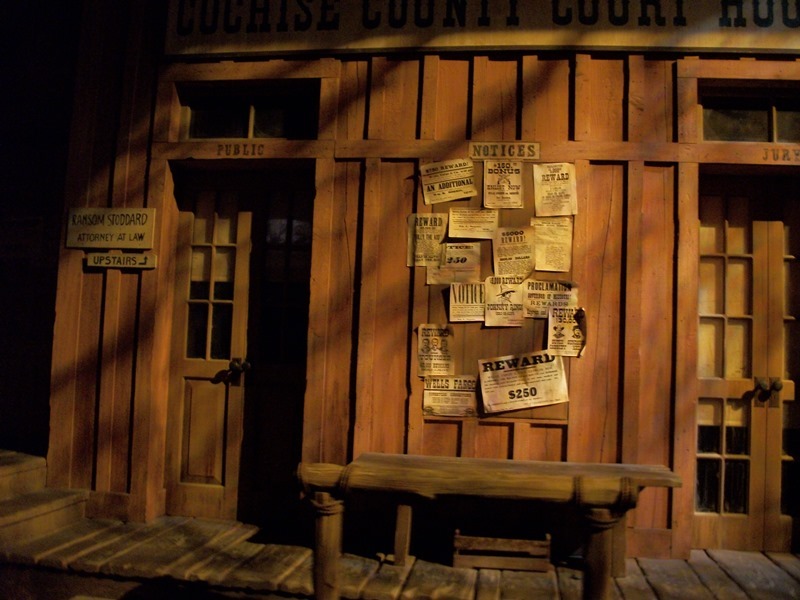 Once upon a time in the west we took a look at the life and times of Ransom Stoddard. It is a bella notte in Italy for Silent Saturday. Imagineering Disney has a terrific look at the construction of the Contemporary Resort. 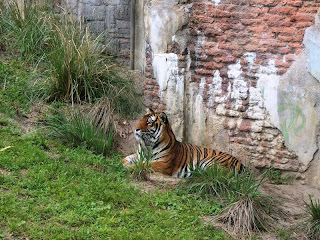 Adam and Andrew weigh in on the rumors of River of Lights coming to Disney’s Animal Kingdom on the Disney Hipster Blog. Eating WDW and Sarah Holodick bake up a batch of the Yacht Club’s Cobblestone Cheese Bread. Melissa Sue Sorrells Galley takes to Mouse on the Mind to talk about the things she has never done in Walt Disney World. Like somebody else I know, George Taylor of Imaginerding is a sucker for the Golf Resort. AJ Wolfe sits down at Mizner’s Lounge for The Disney Food Blog. Jeff Heimbuch talks with a former Disney’s Animal Kingdom Cast Member who has a story to tell about an attraction or two in From The Mouth of The Mouse. 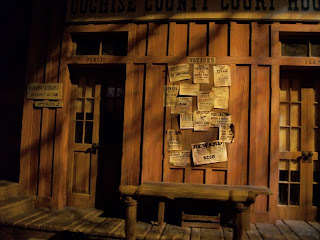 How many times have you passed by this courthouse in the western scene of the Great Movie Ride? In all those times, how many of them were you focused on the bank or the shootout between the lawman and robber to actually notice it. I can’t say as I blame you for looking the other way, but today we’re stopping to take note of attorney who resides on the second floor of this western town’s courthouse. If you are a fan of the western film genre, then you likely already know where this name is from. If not, then here is a brief education for you, pilgrim. Ransom Stoddard is portrayed by Jimmy Stewart in the 1962 film, The Man Who Shot Liberty Valance. The film was directed by John Ford and co-starred John Wayne a Vera Miles as Tom Doniphon and Hallie Stoddard, respectively. The film is told entirely in flashback when then Senator Stoddard returns to the small town of Shinbone, where Ransom was once a lawyer and where he met his future wife. It tells the story of how he came to be a legend in the west, whether or not he deserved to be that legend, and of the tumultuous friendship he had with Doniphon. Don’t ask me to tell you more about it, because you should really see it for yourself. As westerns go, it pretty much has it all. A shootout in the street with the smug outlaw, Liberty Valance. A greenhorn learning the ways of the west. Aces and Eights, the deadman’s hand. And a rivalry between the two leads for the affections of the prettiest girl in town. As if that weren’t enough, this is the film where John Wayne first used the name ‘Pilgrim,’ to address someone. That someone being Stewart’s Stoddard. It seems as if he used the name forever, but it wasn’t until 1962 that the famous utterance actually left his lips on the big screen. The Great Movie Ride is filled with subtle references to films great and small. The Man Who Shot Liberty Valance may not be tops on your list, then again it just might be, but it certainly deserves to be noted. Considering Wayne is just down the lane, is it any wonder we find Jimmy Stewart upstairs in his office? Roundtable Contributors: Estelle Hallick (This Happy Place Blog), Alan Mize, Blake Taylor (BlakeOnline.com), and yours truly. The remodel of Downtown Disney appears to be actually happening this time. Last February, I wrote about the plans to turn Downtown Disney into Disney Springs. I mentioned at the time that this wasn't the first time that plans had been announced for a Downtown Disney enhancement. I also mentioned that until construction really started, it was highly possible that plans could change again. Well, it appears that Disney was for real this time. Construction walls are in place and demolition has started. The old Comedy Warehouse is no more and every venue in the old Pleasure Island is gone with the exception of Paradiso 37. Four parking lots have been blocked off for the addition of a new parking structure. Disney Springs, in some form or another, is a reality now and I'm excited to see the changes and the final product! Straight from Comic-Con's Once Upon a Time panel comes exciting news that Ariel will be introduced during the show's upcoming third season. It's an announcement many fans have wanted for a while, and I think it's fun to see the show branching out into some of the more recent Disney endeavors beyond the fairy tales of Walt's time. Coming off the heels of introducing Captain Hook last year and the large presence that character has come to have, it will be interesting to see how big of a spotlight Ariel will be given. Season three of Once Upon a Time debuts Sunday, September 29, on ABC. It's really happening! Muppets Most Wanted will be hitting the big screen in March, but I was pleasantly surprised to see some "promos" before Teen Beach Movie last week. I actually thought it was a recycled clip from something I haven't seen before (it's been a long time since I turned the Disney Channel on) but no! After Miss Piggy and Debby Ryan tried to take some selfies, the title of the new movie popped up on screen. 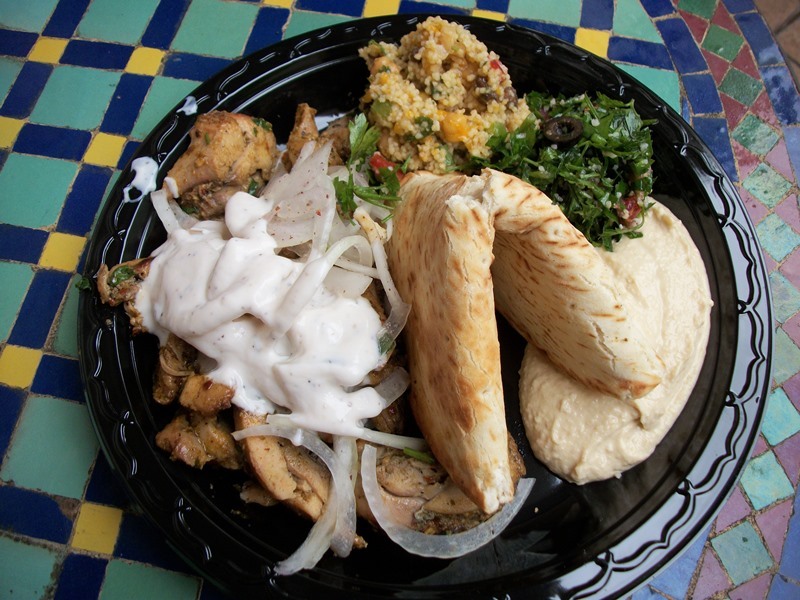 Disney's Animal Kingdom will soon be home to what can only be assumed is a pilot program for guests with dietary concerns. The Garden Kiosk, located on Discovery Island just outside of Disney's Outfitters, will now be an information station where guests can get information about all of the restaurants in the park. Guests will be able to address not only allergies and menu options at the stand, but also gluten and other special dietary needs. In addition to providing a valuable guest service, the Garden Kiosk will also continue to serve a assortment of snacks and beverages, including hummus and a gluten-free beer. As I stated earlier, I can only foresee this as spreading to other parks, provided the service is actually utilized by guests. Of course, what would really be terrific would be to see a property wide version of this service where you could speak to a Cast Member about dietary concerns of any restaurant on property at any given time. This could come in handy if you were leaving Disney's Animal Kingdom and headed to Disney's Hollywood Studios and you wanted to know what was available at 50s Prime Time Cafe for someone with an egg allergy. Now I know you can pick up a phone and have this done in a second, but being face-to-face with someone always provides that human touch. The rub being, Walt Disney World had a system such as this in place once upon a time. It was in EPCOT Center and it was known as World Key. Hey, a boy can dream of the '80s, right?